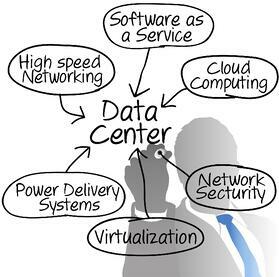 What is a Software Defined Data Center? The Software Defined Data Center is a revolutionary leap forward for the traditional data center in that it is not entirely hardware driven. [click to tweet] Instead it combines vendor-agnostic hardware with software-driven intelligence. It is made up of five components: Software Defined Computing (SDC), Software Defined Networking (SDN), Software Defined Storage (SDS), Automation Orchestration and Management, and allows organizations to collaborate, connect and manage their IT resources in a whole new way. This new paradigm allows IT organizations to break free from the endless cycle of upgrades and hardware maintenance they’ve been accustomed to. VMware explains the SDDC as the foundation for unified hybrid cloud deployment. “Software-Defined Data Center architecture…brings together best-in-class compute, storage, networking virtualization and management offerings. [A] unified hybrid cloud lets you rapidly develop, automatically deliver and manage all of your enterprise applications, no matter where they reside, from one, unified platform.” To learn more about the components of the Software Defined Data Center, read this blog post. SDDC offers organizations the best features of both the cloud and the traditional on-premise network. Today we will explore 3 of the many benefits an SDDC provides. SDDC allows for the elimination of proprietary hardware dependency; this is one of the benefits that the cloud provides. Think of the transition to a Software Defined Data Center like the self-driving car of the future. [click to tweet] Just as the Google car is no longer dependent on floor pedals, the SDDC is no longer dependent on the command line interface. Just as we won’t have to learn how to drive in the future, the SDDC will negate the need for expensive training to learn highly specialized vendor hardware because all hardware will be commoditized. In addition, this new approach will liberate the IT department so that it can focus on innovative projects that add value to the organization and its bottom line. However, unlike the self-driving car, we can reap the benefits of SDDC today. Rather than using multiple IT tools, apps and software to manage the complex technology challenges facing IT leaders today, SDDC allows organizations to manage everything with the click of a button. Data can be monitored, systems can be updated and storage resources can be allocated from a single pane of glass. Instead of hurdling through complex IT services, the SDDC can improve any workflow by providing repeatable solutions. SDDC is characterized by automation, orchestration and the abstraction of resources into software code. By nature, software is more reliable than humans, which means that compared to the legacy data center, the SDDC is more agile and responsive in all measures.Overcoming any software defined data center challenges isn't as challenging as some would think. Enterprises are quickly recognizing the value of automation. According to one recent report via Business Wire, the SDDC market will grow at a compound annual rate of 28.8 percent between 2015 and 2020, growing from $21.78 billion to $77.18 billion by 2020. Our engineers have the knowledge and experience to help identify and implement the right solutions for your software defined data center. 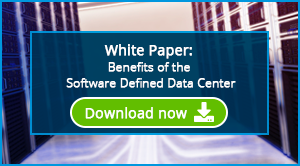 If your company has identified an initiative to transition to SDDC, we recommend reading our white paper, The Benefits of the Software Defined Data Center. 1. IDG Research commissioned by WEI. February 23, 2016. Josh Cronin, Presales Engineer at WEI, provides technical guidance and system design consultation for our customers during the presales process. Josh’s areas of expertise include converged and hyperconverged infrastructure, virtualization, and the software defined technologies that make up the SDDC. Josh holds several certifications from Cisco and VMware.